The scary part about abuse is that it isn’t always physical, it can be psychological as well, in varying degrees including emotional. 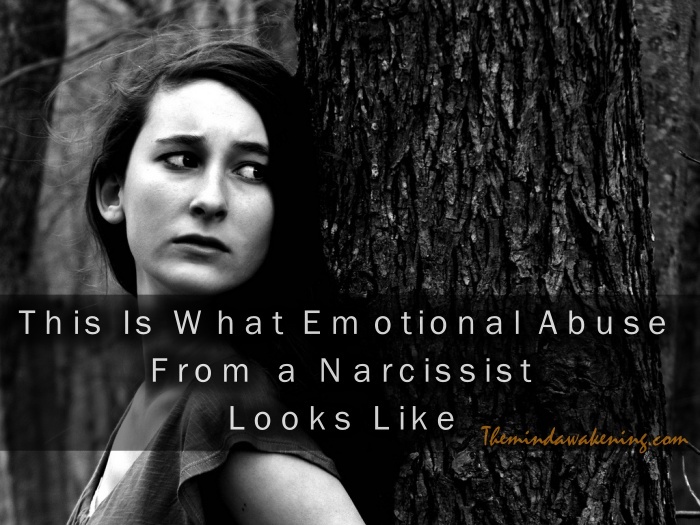 Emotional abuse can be hard to spot or realize because it can occur in relationships beyond romantic like your parents, siblings, friends, etc. and you may see it as something akin to tough love. 1. The constant “this is what’s wrong with you”? lectures. It’s like the criticisms never stop. It’s good to have someone who helps you to be a better person, but if they end up breaking down every single part of you, then the line of abuse has been crossed. 2. Living in fear. There’s always this atmosphere of tension whenever they’re around. Even when they’re in a good mood, you still feel like you have to brace yourself for something. 3. The comparisons. They’re always comparing you to either themselves or someone who seems better than you at everything. 4. The creepy possessiveness. They get mad when you place priorities over them no matter how important those priorities are. Anything you do solely for yourself puts them in a state 0-100 in seconds. 5. Having no self-esteem…because they’ve torn down all the quirks and traits that make up who you are. You lose your self-worth because your value has been stolen, leaving you to rebuild again. 6. Confessions you’re better off not knowing. Emotional abusers tend to confess personal and sometimes disturbing secrets you’d rather not know about as a way to make you feel like you’re obligated to stay in a relationship with them. 7. Trying to turn everyone against you. They’ll talk to other people in your life about your flaws without you knowing. They try to make you out to be a tragic case who everyone has to either pity or stay away from. 8. Intense isolation. They’ll usually use guilt as a way to isolate you from the world. They’ll tell you how much your friends don’t actually care for you or get mad at you for investing a little too much time in a hobby you like. They’ll make you believe they’re the only one you need in your life. 9. Denial…because it’s someone you care about and you don’t want to cut them off. You convince yourself that they do it because they love you and that you should appreciate it. But the truth is that it’s abuse and you have to break the chain before it suffocates you.